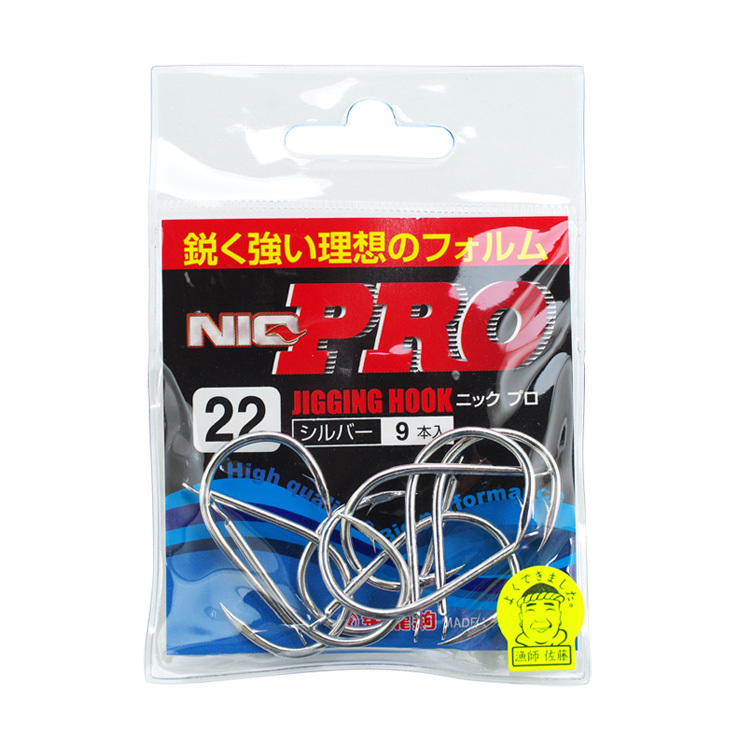 I have a lot of questions about jigging hooks lately. And I have been concerned about my own hook settings too. I think it’s time to study hooks. 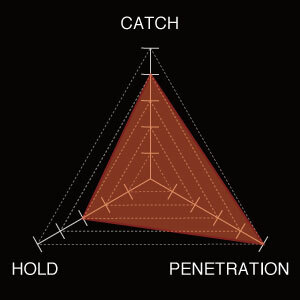 Let’s break down the functions of hooking and define terminology first. CATCHThe first step of hooking is that the point finds something to hook to. The shape and the angle of the point have a lot to do with it. HOLDThe final step is to hold the fish in the top of the bend. The shape of the bend and the depth of the throat have a lot to do with it. Slow pitch uses the double assist hooks as Sato Sensei invented it. He put away all the existing concepts first and started from scratch when he created the line system. He started with a question “Do we need hooks?” Now he has all the reasons on each details of his system. This double hook system is one of them. I don’t understand all of them, but I try to organize what I’ve learned. Slow pitch triggers the fish to bite while the jig is on hangtime and falls. This is when the line is not tensioned. Hooks are free of tension. 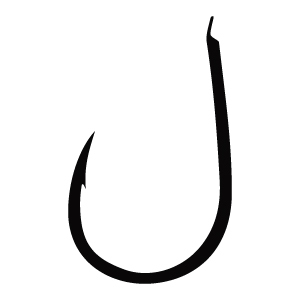 So we want the hook to have the sharp penetrating ability that goes through the skin with the lightest force. That’s why we like light wired hooks. Experienced anglers know the barbless hook penetrates better than barbed hooks. So does the light wired hook. It’s the same physics. 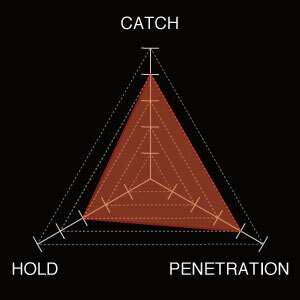 The catching and penetrating ability is the key. 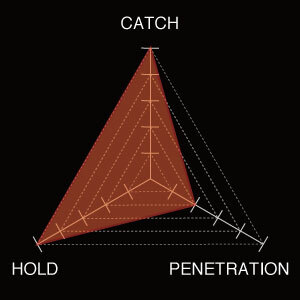 If the point catches but doesn’t penetrate, there’s a good chance of hooking off or having the hook extended. But if it does penetrate all the way, it’s tough to break. Also, light wire is easy to be swallowed. It does not interrupt jig movements as well. In the conventional high speed jigging, the line is tensioned most of the time and the hooks are always pulled. So hooks can be heavy wired and still, the disadvantage is very minor. The problem of the light wire is that it’s weak. The fish can shake heads with the tremendous power and it’s pretty usual that we get broken or extended hooks. We take it for granted that the hook break and extension is a part of the game. The light wire is also thin in diameter. It can break the fish skin easily at the holding point. We take that for granted too. That’s why we use double hooks. Ones at the head of the jig, ones at the tail of the jigs. 4 hooks in total. The most fish bites on the front of the movement. They bite on the head when it’s lifting up and sliding sideways. They bite on the tail when it’s falling. One hook catches and penetrates to the fish. And during the fight, 3 other hooks catch the fish somewhere. And the jig will look like it’s hugging the fish with 4 limbs. 4 hooks share the burden of fish fight. Even if you have 3 hooks broken or lost, you can still bring it home with 1 remaining hook. The reason was just explained above. If they are facing outwards, the first hook may catch the fish better, but the other hook is facing elsewhere and you can’t hug the fish. Plus, when facing outwards, hooks receive a lot of water resistance, and they fly around the jig furiously. We believe this is disturbing for the fish when it’s too much. It’s the same reason whey the top brand slow pitch jigs like Seafloor Control, Beat and Deepliner are specifically designed to make certain movements but NOT to do unnecessary, unnatural flamboyant movements. You don’t have to worry much about it when you do hi-speed jigging. Flamboyant behavior of the jig would not be so disturbing because the speed and the distance of the jig traveling is so big that the jig behavior becomes more minor factor. When the hooks are facing inward, the hooks keep a low profile and don’t do unnecessary movements along the jig. I have to apologize that my tracing skills are not so good. These hook pictures lack certain precision of the real look of each hooks. Please just try to have a rough idea. I have the pictures of 2 very different jigging hooks. I would like to talk about each parts and how they shape the characters of each hooks. These 2 examples will make it clear. Short Shank is quick to penetrate. 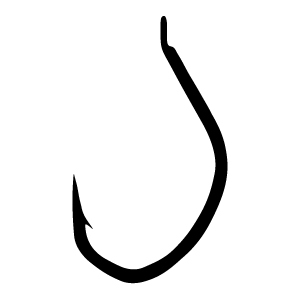 The hook usually has cornered shape and the gap is larger. Long Shank delivers the power of active hooking action by the angler to penetrate. It also works as a spring, helping the hook holding the impacts of fish fight. 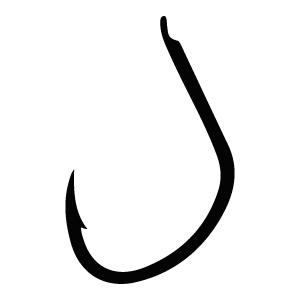 The hook usually has round bend and the gap is smaller. Bend does not touch fish but this is where the hook takes on most of the burden of holding the fish. In order to maximize the strength, the wire may be forged thick against the direction that the force tries to extend the hook. Corner is a part of Bend in general terminology. But this part has completely different task so I separate Corner from Bend. This is where the hook holds the fish. Because the hook is made by light wire, there’s a risk to cut off the skin. This part can be forged round in order to avoid the risk. Straight Point is excellent at finding and catching the target. It also means that it snags easily too. Sato Sensei and Captain Higashimura remember with a good laugh when they tried an experiment to compare 2 different hooks. 2 exactly the same tackles except that one has the hooks with straight point and the other with curved point. They were all Pike hooks, which have curved point. Sato Sensei straightened it with a plier to make a straight point. It turned out that the straight point snagged 7 times straight! 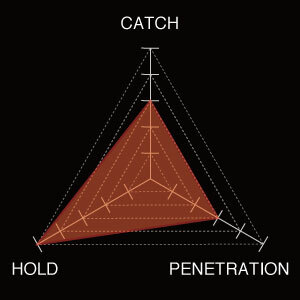 No body wants snagging, but they have concluded that the catching ability of straight point should be big advantages in some cases. 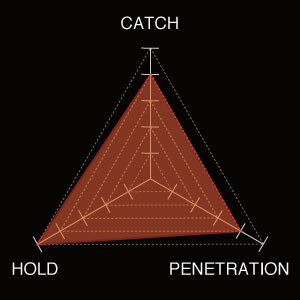 Straight point requires your active hooking action for the point to penetrate. 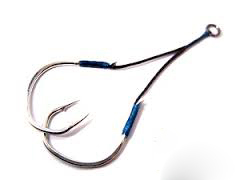 Without your active hooking action, the hook may tilt a little in a way to avoid penetrating. Curved Point is excellent at penetrating. Sato Sensei’s experiments show the curved point is less likely to snag but yet it hooks fish with no problem. Once the point catches, it penetrates easily so that it only requires the weight of the falling jig to penetrate. You hardly have to strike. Pointing outward makes it easy for the point to find and catch the target. Easy to snag. Pointing to Eye makes it easy for the point to penetrate. Because the hook does not tilt and the point angle stays in position to the penetrating direction, to the eye. 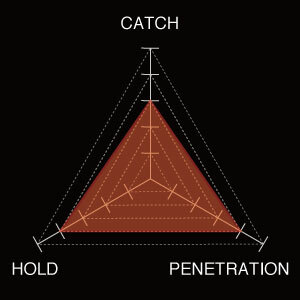 But there’s a possibility that penetration may be shallow into the fish skin because of the closed point angle. Sato Sensei always says that if you really want to catch more fish, pay attention to your point angle. Sato Sensei says when his sense is keen and focused, he uses straight point and actively hook fish. When he’s not so keen or when the multi-layered ocean cuts off signals, he uses curved point and let the jig weight make the point to penetrate. And he changes the point angle constantly. When he misses contacts, he changes. When he hooks off the fish, he changes. The first ever slow pitch jigging hook by Decoy. 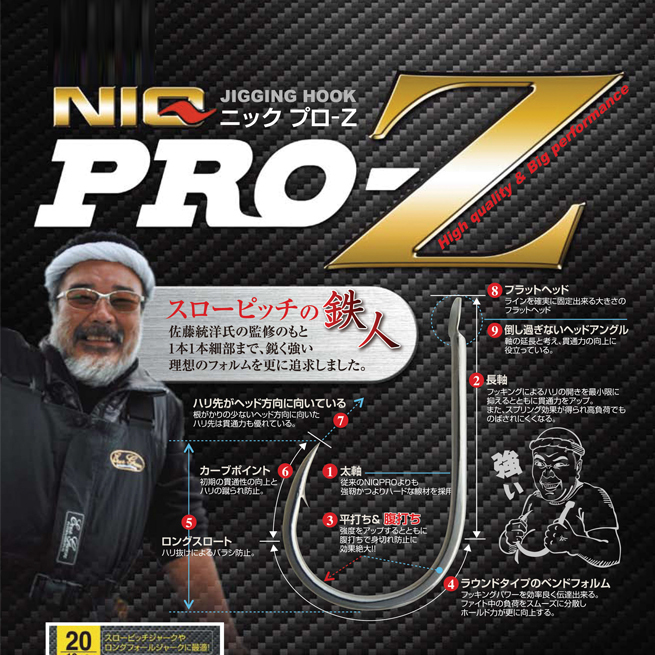 This hook was the only one that meets all the requirements Sato Sensei demanded when creating slow pitch jigging. The wire is cubical forged for the strength and for holding the fish with a flat plane, avoiding the risk of cutting off the skin. 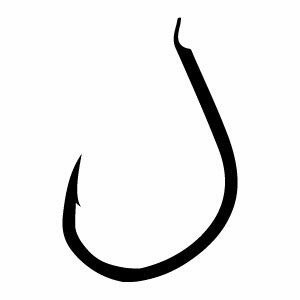 Basically this hook focuses on catch anything that touches. This hook changes its properties by adjusting the point angle. 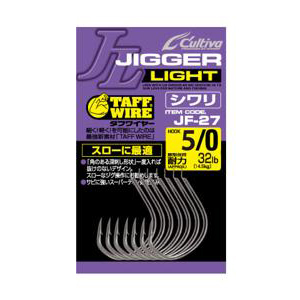 Probably the most popular hook among slow pitch jiggers in Japan. I highly value this hook as the most balanced jigging hook. Cultiva’s proud Taff Wire technology. Flat forged on bend, round forged on corner. The point shape has both properties of straight point and curved point. Quick and easy to penetrate. Once the fish is in the holding position, the shank and the bend shape a beautiful, almost evenly curve to stand against the impacts. This one is for aggressive big fights. Cultiva’s proud Taff Wire technology. This is a very aggressive hook. Straight point finds and catches the target, once held in the corner, it would not let go of the fish. The shank and bend is in a mild curve, a very strong structure. It requires active engagements for the angler in penetrating into the fish. 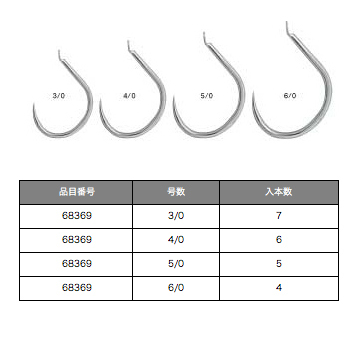 The design of this hook is officially approved by Sato Sensei. Long shank powers up your hooking action. Evenly curved bend is round forged to hold the fish securely. Curved point is angled to the eye. The design is really detailed for every properties that slow pitch anglers longed for. As much as people talk about Niq Pro for its detailed design for slow pitch jigging, some people say the wire is a little weaker than other slow pitch hooks. We don’t know for sure. When you see the broken hook in the field, it may not just the matter of toughness of the wire. 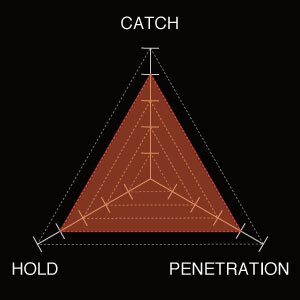 Penetration ability is a part of toughness too, because without penetrating, any hook can be extended very very easily. 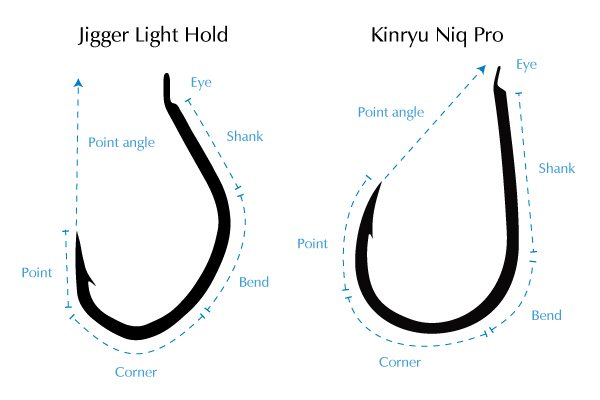 Whether or not this is the reason, Kinryu just released the muscle version of Niq Pro. The wire is medium heavy, flat forged, presumably very strong. 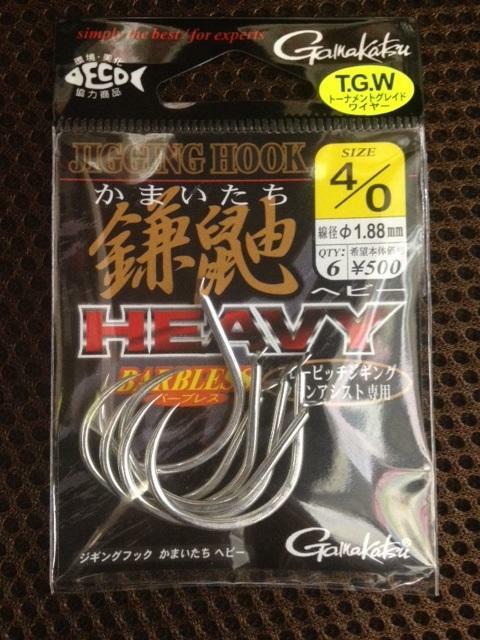 Kamaitachi is a barbless hook with attitude, designed by Gamakatsu field pro, Mr. Hiroyuki Kato. Mr. Kato is one of the leading slow pitch anglers, Sato Sensei’s disciple. Very much circular shape with wide gap. Light wired. Barbless. This is the hook to PENETRATE. Fish may bite on the fall and the hook will penetrate just by the weight of the jig. That’s what Mr Kato wanted to focus on. It’s barbless. How about holding? In slow pitch, we don’t pump the rod. When you pump the rod, it’s very hard to keep the same tension on the line, but with point-down fight style of slow pitch, you can keep the same tension on the line. Therefore, you don’t have to worry about unhooking with the barbless hooks. At least, that’s the attitude that this hook has. I personally think there are head shakes and twists and no hook is perfect. But you gotta takes some risks. I’ve seen this hook penetrate thru some tough lips of some demersal fish. Do you feel lucky today? All the leading slow pitch anglers have several kinds of hooks ready at the field. It’s important that you know advantages and disadvantages of each hooks and choose one for your tactic and your instinct. I think it’s really worth to try this hook when you miss some contacts. Kamaitachi has now medium heavy model available. Takamitechnos is a small rod builder in Osaka. The headman Takami is a very skilled angler. His blog is very technical and full of good insights. Available in size S and M. Size S is about Pike 1/0. Size M is about Pike 2/0. The shank is pretty long and the gap is wide, so that the bent curve is a little steep. But this hook is medium wire. Size M is as strong as 3/0 size. Created by the steep bent is all the space for holding the fish. I think this hook holds the fish very very well. He designed the point angle differently in 2 models. Size S is small in volume so that it’s less likely to be swallowed into fish mouth, he thought. So he opened the point angle a little to catch better. Then anglers need to hook actively. Size M is bigger in volume and easier to be swallowed, and of course meant to be used on a heavier jig, so he closed the point angle to the eye for better penetration. This guy really planned to design this hook. But there’s more. What makes this hook even more unique is the point design. It’s shaped like a triangle. Like a tip of an arrow. And it’s scraped deeply inside. So it’s very thin, when looking from the side. It works just as the tip of a syringe. Because the hook is medium wired for strength, it’s got the point shaped for the maximum penetration. Takamitechnos hasn’t got distributors yet. You can only buy from Takamitechnos website. So we haven’t got much feedbacks. Theoretically, I’m interested. I’m looking to buy it when they start making Size L for my big game. I hope you find this article informative and helpful to you! If you like the post, please click on one of my sponsor banners and see their commercial. (You don’t have to buy anything!) It helps me to finance my site. Thank you very much. Ocea Jigger 1500 or 2000? I know it is not “popular”, but what do you suggest for slow pitch hooks with an actual eye on the hook? The ring eye is easier to tie if you don’t have the bobbin and the vise. Because the hook lays like this, the point can easily find the place to hook. It works just like the tilted point. Other than that, it’s basically the same principles as the flat eye hooks. 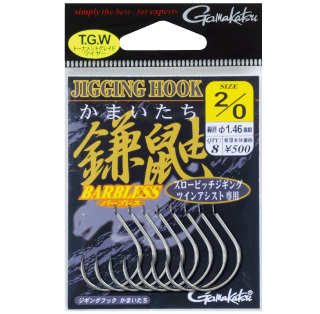 What about gamakatsu’s kamaitachi barbless hooks? 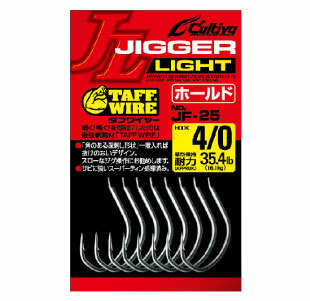 or van fooks jigen hyper twin assist hooks? 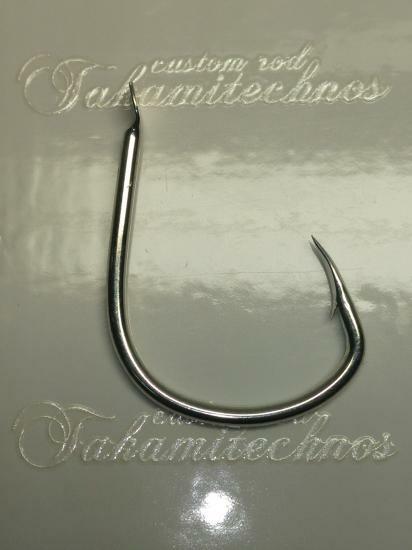 And lastly of course the takamitechnos ropera hook. 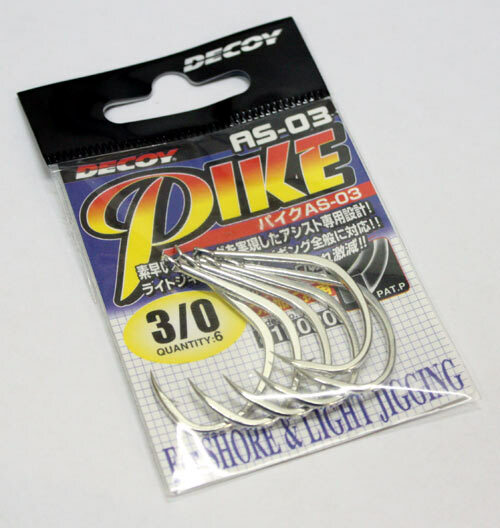 What are the size similarities between Owner Jigger Lights and Decoy Pikes? Are the 2/0 Owners same as Decoy 2/0? Hi Totos, in viewing videos of fish being pull up and now reading how 4 hooks end up on a fish I can more clearly understand why fish rotates as it is reeled up. Is this not good for the line to be twisted? Hi. I know how you feel. But as long as you use an overhead reel, you don’t have to worry about that. Even if you put on swivel, it would not keep you free of line twist. Since I learned slow pitch jigging, I never used a swivel. And I never had a trouble with line twist. Just don’t worry. When you do have a problem, let me know.